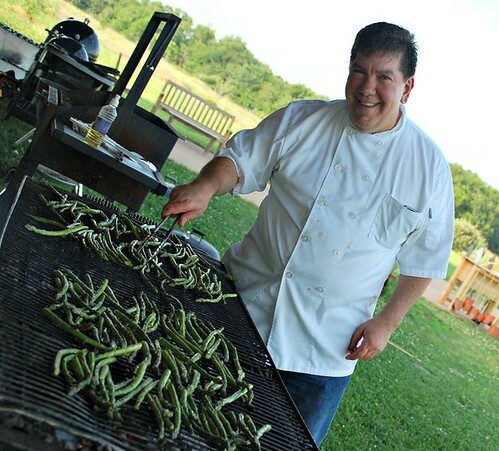 Join us for an evening of delicious learning at the Missouri Barn as Powell Gardens launches a new series of culinary classes led by area chefs and fresh-food enthusiasts. Our summer series kicks off on Friday, July 22 at 6 p.m. with Craig Jones, owner of Savory Addictions Gourmet Nuts. Enjoy reverse seared Korean steak, bacon-wrapped smoked dates, smashed potatoes, broccoli and produce fresh from Powell Gardens, plus dessert—all prepared over live fire before your eyes. Craig will show you how to grill, roast and bake on your grill. He will even show you how to turn your kettle grill into a smoker. Learn lighting methods, charcoal choices, heat management, how to use wood as a spice and when NOT to use wood. Discover how to build a two-zone fire and how to keep your grill in tip top shape. Register by July 15. See more details and register.